Enterprises often look for ways to unburden their day-to-day IT operations to focus on their business missions. With the inflow of new technologies, novel communications, IT and support team shoulder the onus to support existing IT infrastructure which often prove expensive and tedious. In the light of this, organizations need to frequently evaluate their IT strategy and focus more on reducing operational costs and improve efficiency. Element’s SAS Managed Services facilitates organizations to focus on critical business functions and alleviates them from managing and maintaining their systems. We significantly differentiate by our ability to relieve clients from mounting, unstructured data accumulation which hinder them in conducting purposive business functions faster. 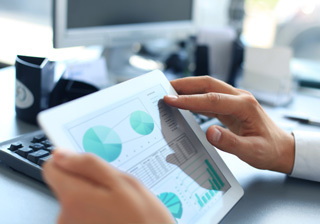 With our unique approach, we benefit business managers to consume meaningful information and generate actionable insights, rapidly and efficiently. Adverse market conditions and rapidly fluctuating business environments have engulfed even the most analytically matured organizations. 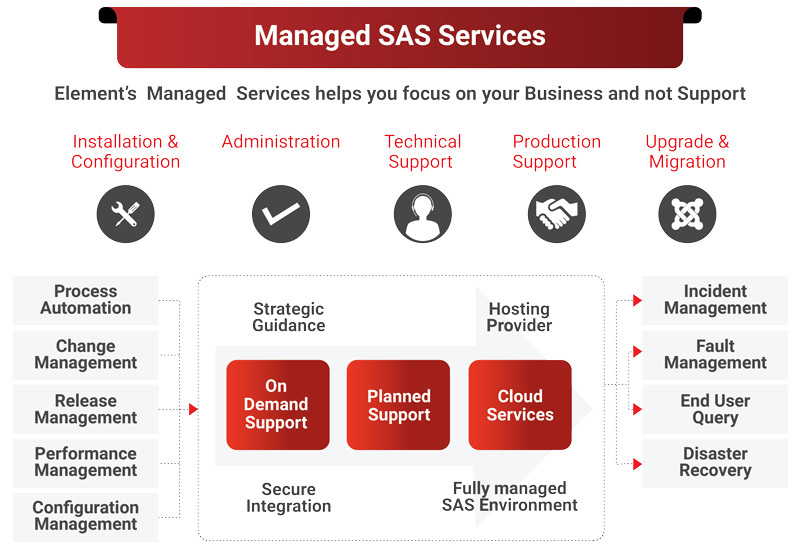 Our customized approach to managed services involves the use of SAS products to identify organizational pain points around administration, upgrades, migration, production support and maintenance. Element recommends best practices and offers managed services to organizations to help them reduce the risks, and drive enhanced returns from their SAS investments. We provide the reassurance and confidence for organizations to build organizational processes that are heavily dependent on SAS software. Element realizes that most of our customers require a unique combination of planned and on-demand support when it comes to meeting their bespoke support infrastructure requirements. Our solutions not only help you to meet your ever-changing business needs but, also deliver simplicity and unlimited scalability. Element brings to bear a competitive advantage to our clients by leveraging our excellent SAS technology expertise along with delivering quality SAS services. We are passionate about success and we collaborate proactively with our customers that enable us to deliver our promise of being a reliable and a trustworthy SAS partner.